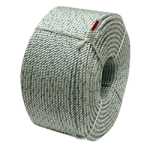 Used primarily as crab and marine line, SILVER PACIFIC™ floating crab rope is made of hard-lay, high-strength co-polymer fibers. 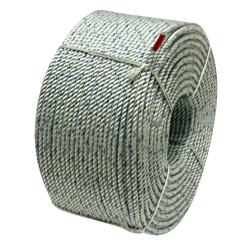 Offers excellent abrasion resistance and low stretch. Built to withstand rot, mildew and many common chemicals. Silver with dark blue tracer.